If you want a simple and accurate bench press calculator and practical, effective tips on how to get your numbers up, then you want to read this article. If you look like you lift, then you’ve probably been asked that question. A lot. For whatever reason, nothing turns heads in the gym like a big bench press, which is why so many guys spend so much time under the bar. And that’s not even a bad thing. 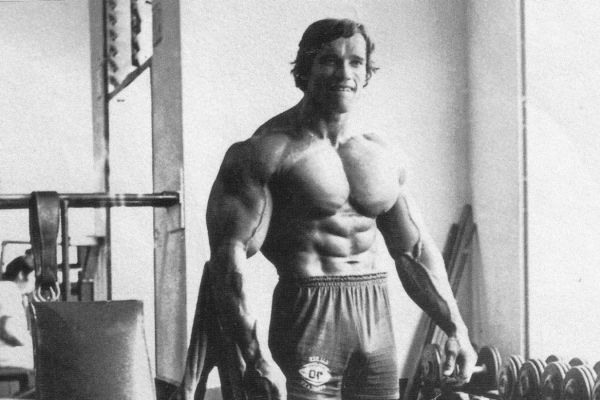 Despite its reputation as the meathead’s favorite hobbyhorse, the bench press actually deserves a lot of credit because it’s one of the single best upper body exercises that you can do, training your pecs, shoulders, triceps, core muscles, and even lats. Now, if you’re here and still reading, you probably want to know just how good your bench press really is, and you might also like to know how it measures up against general strength standards as well as how to increase your numbers. Well, that’s exactly what you’re going to learn in this article. By the end, you’re going to have an accurate estimate of your one-rep max on the bench press, how it compares to other people’s, and how to increase it. There are several formulas for calculating your bench press performance, and the most common ones are the Brzycki, Baechle, and dos Remedios equations. As you can see above, they all produce more or less the same results. I personally track my numbers with the Brzycki formula, but some people like to get fancy and track the average of the three. Now, how do these numbers measure up against reality, you’re wondering? Well, the only surefire way to know how strong you really are on the bench press is to get on the bench and find out, working your way up to the weight that you can only lift for one rep.
First, if you’re new to heavy singles, you’re going to find it very awkward at first and miss lifts due to technical inefficiencies, not a lack of raw strength. If you really want to test the limits of your benching, you have to first get used to moving very heavy loads with proper form, and that takes time. Second, your ability to perform very high-intensity training depends greatly on how well your body has recovered from previous workouts, and this can be hard to gauge before hitting the weights. Third, the “inner game” of weightlifting also factors in heavily when going for 1RM attempts, and this too takes practice. If you don’t feel mentally up to a heavy push, pull, or squat, you’re almost guaranteed to fall short physically, and if you’re new to it, you can’t help but feel intimidated. So, while you certainly can incorporate one-rep maxes in your training, you can’t do it willy-nilly and expect it to be productive. This is why many people just stick with mathematical predictions and know that so long as they’re going up, progress is being made. The “untrained” column shows the level of strength that you’d expect from someone who hasn’t bench pressed before. The “novice” column shows what you‘d expect to see from someone who has been bench pressing for 6 to 12 months. The “intermediate” column shows what you can reasonably expect to achieve in your first two years of bench pressing. The “advanced” column shows what’s possible with multiple years of bench pressing, and the “elite” column shows the numbers commonly seen among competitive weightlifters (the top 1% of the weightlifting crowd). If you’re underwhelmed with your numbers, you’re in good company. Most people are. And that’s why you should start tracking your estimated one-rep max on not only your bench press, but your other big compound lifts (squat, deadlift, and military press). Much more importantly than that, your 1RM is one of the single best indicators of how well your diet, training, and lifestyle are working to build you a stronger, fitter body. Instead of trying to gauge your progress by how “good” your workouts feel, how “swole” you look in the mirror, or even attempts at measuring small changes in your body composition, the cold, hard numbers provided by 1RM estimations tell you, ultimately, if things are moving in the right direction or not. The most effective way to gain muscle is to gain strength. Yes, there are other ways to trigger muscle growth that aren’t directly related to getting stronger, but progressive overload is the most powerful one, and that comes down to adding weight to the bar over time. That’s why the most reliable way to build a great physique is to simply increase your whole-body strength to intermediate/advanced levels with compound exercises like the bench press, deadlift, squat, and military press. Thus, if you track your 1RMs on these exercises and they’re going up over time, then you know you’re at least doing more right than wrong and, minimally, don’t have to make any major changes to how you’re eating, training, or recovering. Do a lot of heavy bench pressing and strive to add weight to the bar over time. 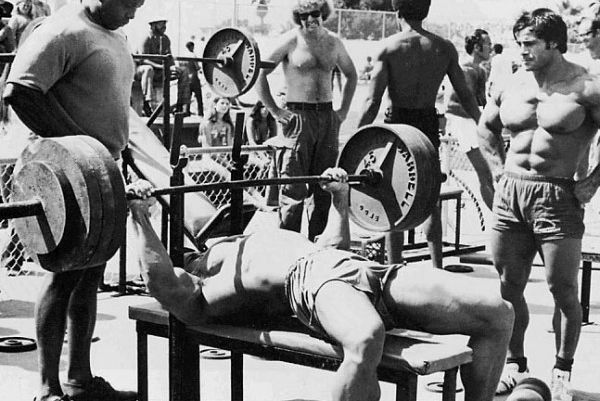 Regularly bench press in the 4-to-6 rep range (about 85% of your one-rep max). Bench press two or three times per week with at least two days in between your heavy days (so you get better at the exercise faster). Try to gain a rep every week or two, and increase the weight by 5 to 10 pounds once you hit the top of the rep range you’re working in. Eat enough calories and protein. Make sure you’re fully recovering from your workouts. 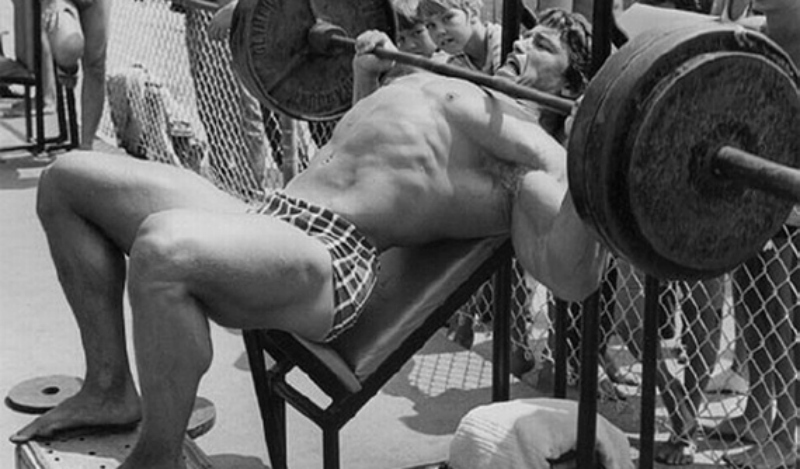 Many people consider the bench press an ego or vanity exercise, but they’re wrong. It’s actually the single best exercise you can do for overall upper body development. So, if you want a big, full chest, powerful shoulders, and thick triceps, then you want to spend a lot of time pressing heavy barbells. You also want to keep track of how your bench press strength is progressing over time, because that’s going to give you the clearest idea of whether or not your hard work is paying muscle-building dividends or not. If your bench press 1RM graph is steadily going up, then you have no reason to change anything. If it has been stuck for a considerable period of time, though, you may be able to make some simple changes to your diet, training, and/or lifestyle to break through the plateau. What’s your take on this bench press calculator? Have anything else you’d like to share? Let me know in the comments below!